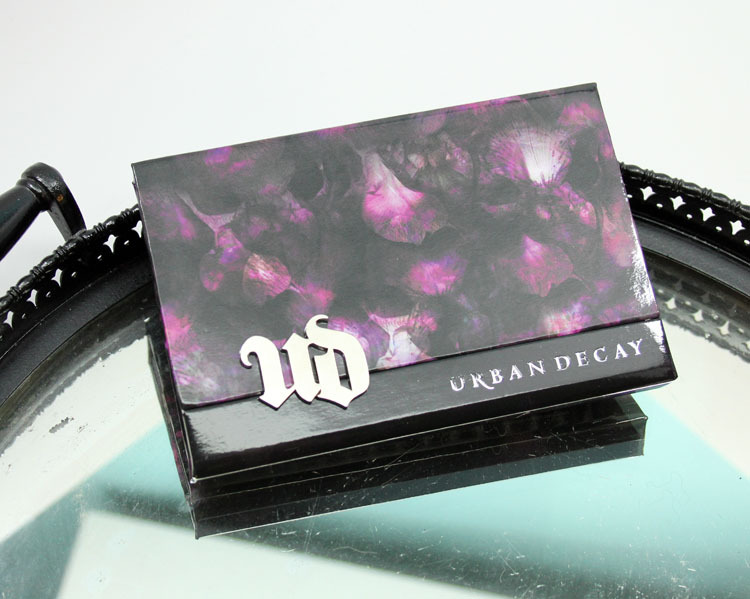 Urban Decay Shadow Box for fall 2014 is an Ulta exclusive that is available now. 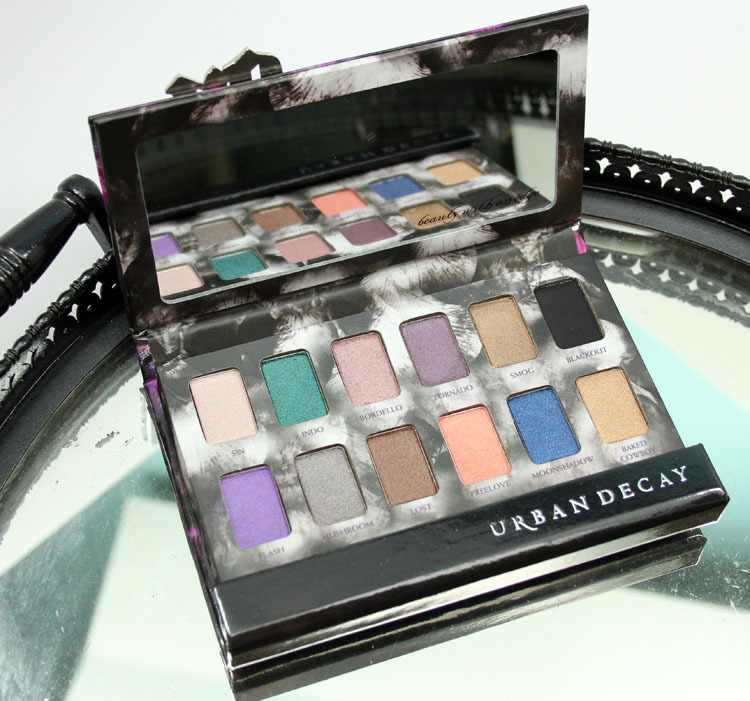 This palette includes twelve eyeshadow shades including nine bestselling shades as well as three new ones. 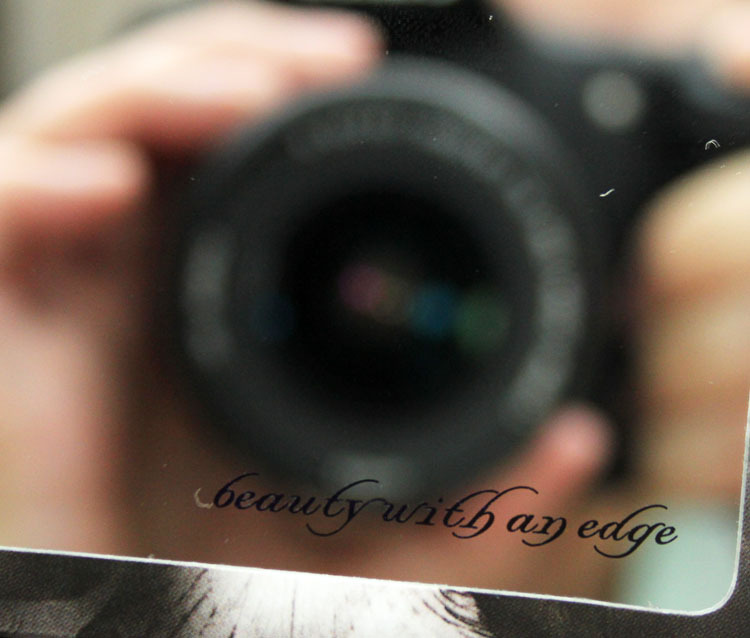 Inside the purple and black orchid-print palette you will find a nice-sized mirror with the words “beauty with an edge” on the lower right corner. Sin is a champagne shimmer. Indo is a bright metallic emerald green shimmer. Bordello is a light mauve shimmer with gold micro-glitter. Tornado is a deep purple shimmer. Smog is a deep coppery/bronze shimmer. Blackout is a black matte. 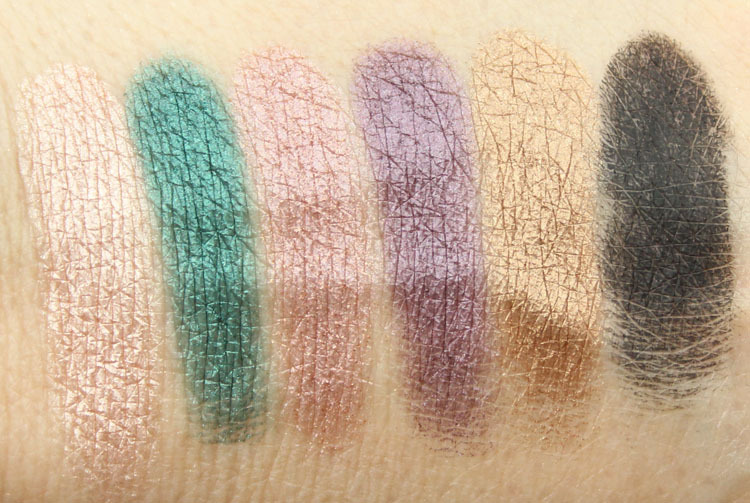 All of these swatched decently with the exception of Blackout. I don’t know what it was but I couldn’t get it to look even at all. Flash is a bright iridescent purple shimmer. Mushroom is a warm grey shimmer. Lost is a medium metallic brown shimmer. Freelove is a golden vibrant peach shimmer. Moonshadow is a bright navy blue shimmer with tonal sparkle. Baked Cowboy is a golden bronze shimmer with tonal sparkle. 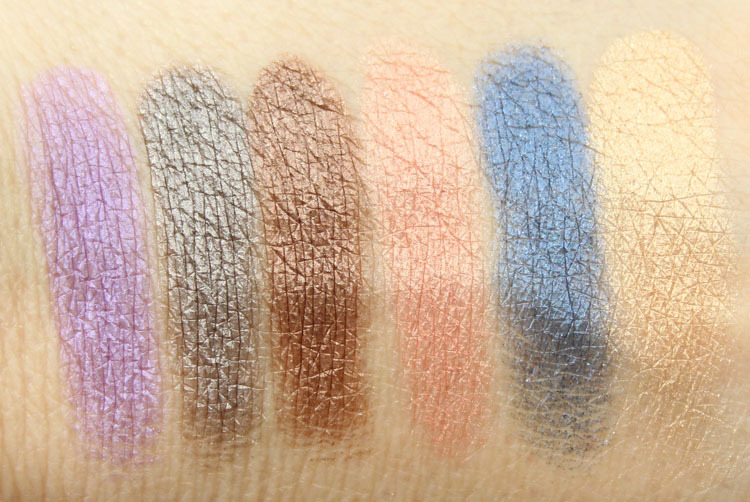 All six of these shadows felt soft and swatched decently. My favorites are Mushroom and Lost. Mushroom is MY kind of shade. Overall I like it but don’t love it. The shadows don’t feel quite as soft and nice as most Urban Decay shadows. They felt a little…scratchier and less creamy. They did have good pigmentation (except Blackout) but it wasn’t as good as I feel most of their other ones are. 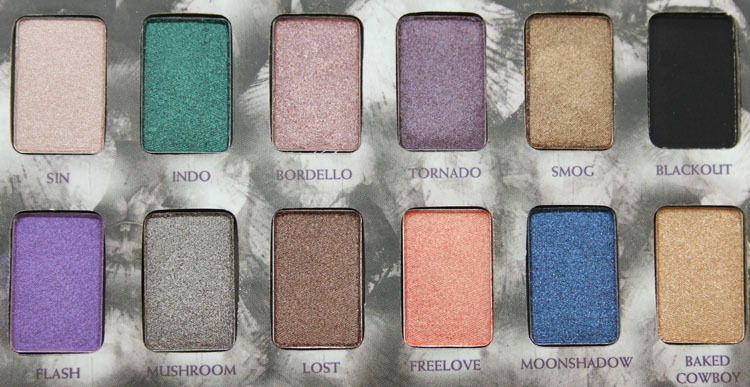 It is a nice little palette in terms of color variety, how it looks and how lightweight it is. And I do think it’s good and a decent value for your buck, it’s just not mind-blowing. As mentioned this is exclusive to Ulta stores and Ulta.com. What do you think about Shadow Box?